Maybe the Federal Reserve needs to embrace a simple idea: Less is more. The U.S. central bank used to be known as a cryptic institution, rarely talking to the public, and kept investors often guessing about major policy moves. Today, Fed officials communicate almost constantly through public speeches, televised press conferences and major interviews. That's good, right? Not always. Sometimes those comments deliver inconsistent and conflicting messages, reflecting the diverging viewpoints of the speakers and fluctuating economic reports. Over the past few years investors have grumbled that those mixed messages can create confusion for businesses and financial markets about where interest rates are going. Now even a senior economist at the Federal Reserve agrees with that complaint. These speeches "can lead to volatile behavior, with reactions sometimes occurring in response to changes in wondering more than to actual content," Antonella Tutino, senior research economist at the Dallas Fed, wrote in a note published this week. She argues that's especially true given the public's "limited attention span" and the risk of "overwhelming" people with too much information. "A more effective communication strategy for the central bank could be to speak less often and make each speech count by delivering a more focused, cohesive and concise message," Tutino wrote. The timing of the Dallas Fed paper was perfect. 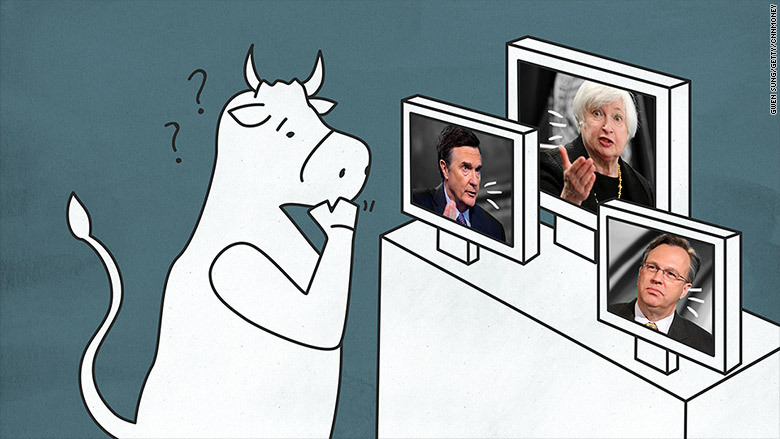 It was released during a week that featured a flurry of "Fed speak" that created turbulence on Wall Street. U.S. stocks took a hit on Tuesday when three regional Fed presidents spoke at three separate events and suggested the central bank could raise rates in June. That surprised -- and upset -- investors because previously the Fed expressed concern about the global economy that led many to assume no rate hike was imminent. A day later the Fed released minutes of its April meeting, which also pointed to a June rate increase. But that wasn't all. 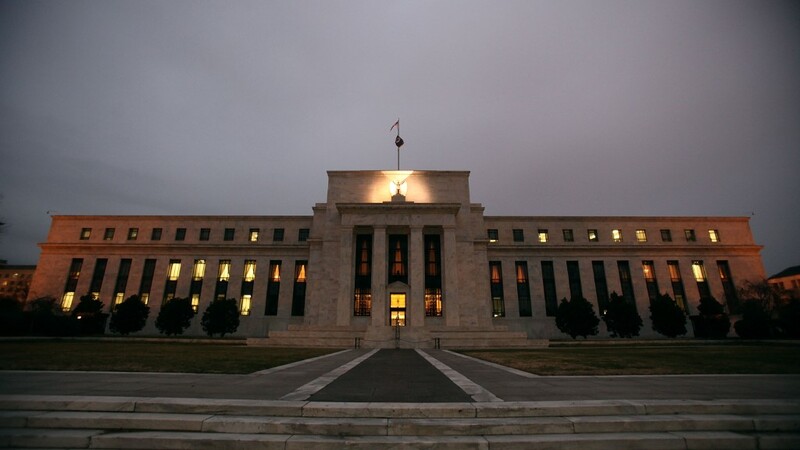 On Thursday two top Fed officials, New York Fed President William Dudley and Stanley Fischer, opined on the economy and Fed moves as well. It's clear Wall Street heard what the Fed was saying. Investors now see a 30% chance of a rate hike in June, up from single digits last week, according to CME Group. However, that means quite a bit of skepticism remains. Dudley even addressed this disconnect between the Fed and the markets. "I was surprised that the market wasn't taking more signals from what Fed speakers were actually saying," Dudley said on Thursday. So what gives? Nicholas Colas, chief market strategist at brokerage ConvergEx, thinks that doubt shows the Fed has a credibility problem fueled by message overload. "The Fed does not speak with one consistent voice -- too many cooks, not enough sous chefs," Colas wrote in a report titled "Loose lips sink (economic) ships." Fed chief Janet Yellen explained that the Fed used its words during the aftermath of the financial crisis to send encouraging signals to the markets and world broadly. "Communication became a tool of policy," Yellen told CNN's Fareed Zakaria earlier this year. But Alan Greenspan, who presided over a Fed that communicated far less often, said the central bank has to balance that with the "serious problem" of not being able to predict the future. "How do you convey what you know and what is clear without going into the area of forecasting beyond our knowledge?" Greenspan said in the CNN interview. So what is the solution? Tutino, the Dallas Fed economist, argues the Fed needs to measure its words based on how healthy the economy is. If things are going well, the Fed should talk less. If things are going crazy, the central bank should talk more. And the Fed should narrow its message to only focus on the part of the economy that needs help. "By reducing the amount of communication, the Fed may be able to create a more powerful narrative for investors to follow," Colas wrote. Or to put it simply: "More isn't always more," he wrote.